Driver Ed in a Box® makes it easy to get your license in Connecticut, and you can start the permit stage at age 16. To drive-collision-free, you need Driver Ed in a Box®. Only Driver Ed in a Box® provides you and your parent with the tools to create and build your habits of collision-free driving. 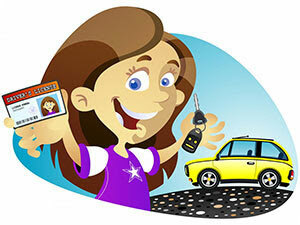 Is your goal simply to get a license? Or is your goal to drive collision-free? At Driver Ed in a Box®, our goal is to help you become a collision-free driver.